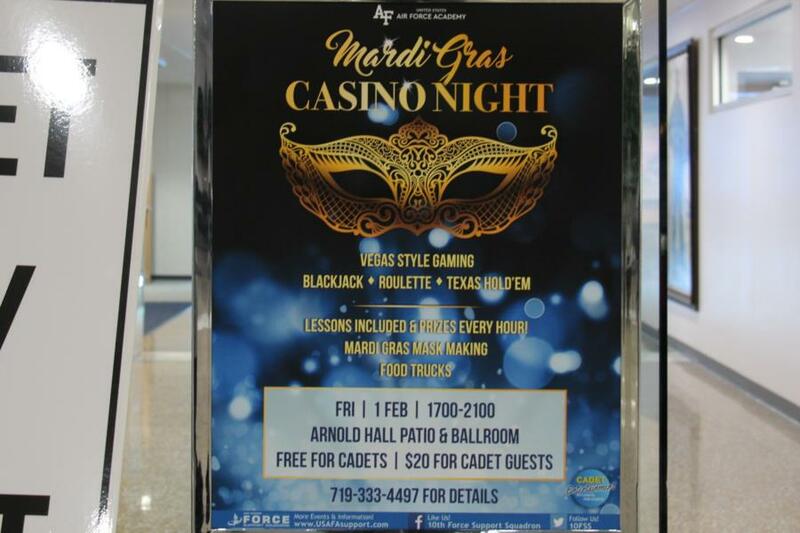 Cadet Entertainment put on Mardi Gras Casino Night free to all cadets. 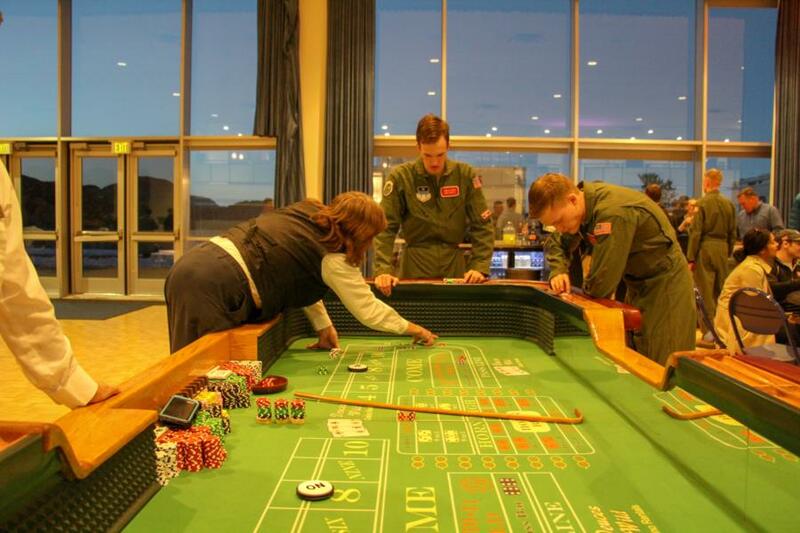 Complete with casino dealers, table and casino games were set up to entertain the cadets for the evening. 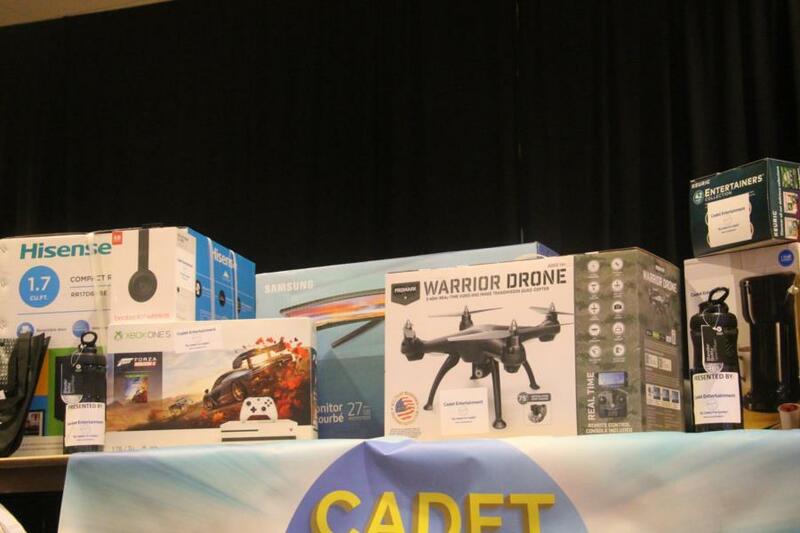 The cadets could cash in their chips and bid on numerous prizes such as an apple watch, X-Box gaming console, a remote control drone, cases of water, drier sheets and much more. 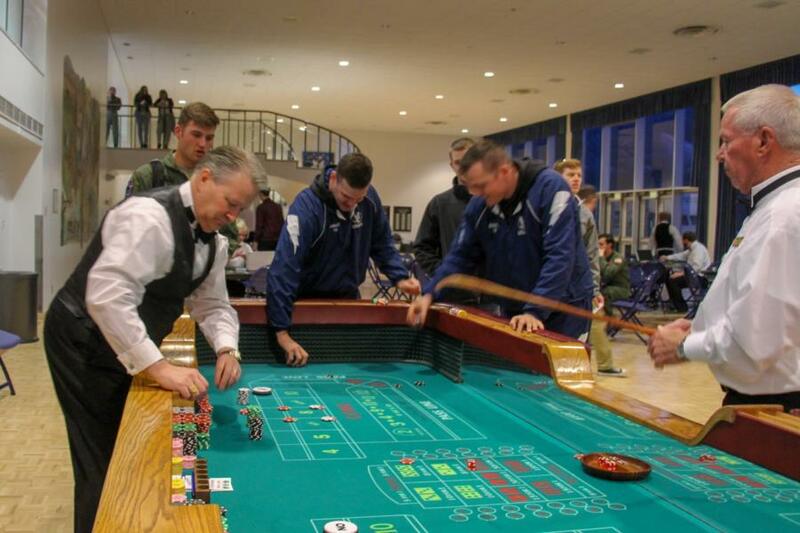 There was an academy graduate who made the rounds, teaching the cadets strategy on how to play the games. 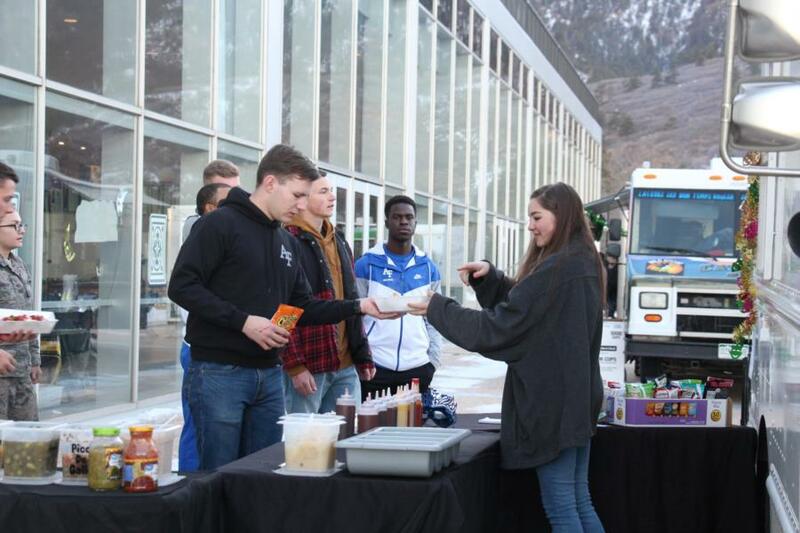 There were local food trucks available to grab dinner, snacks and drinks. 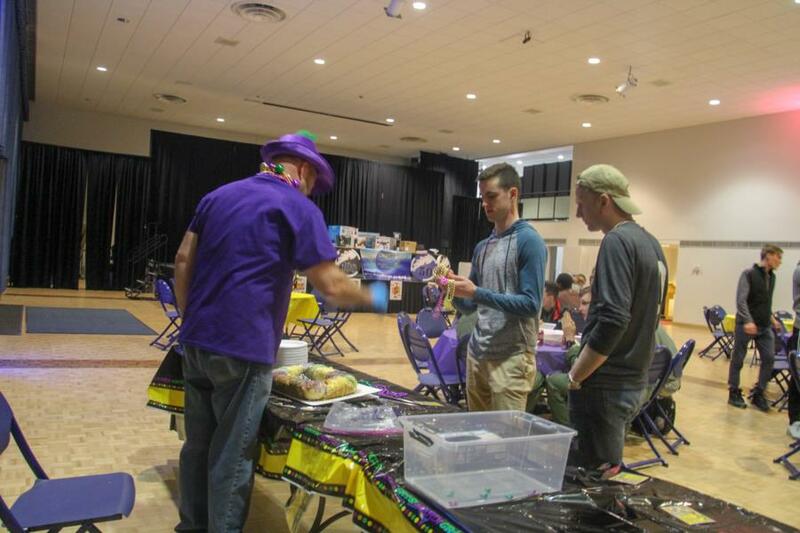 In staying with the Mardi Gras theme there was a crafts table and party favors given to anyone who wanted them. 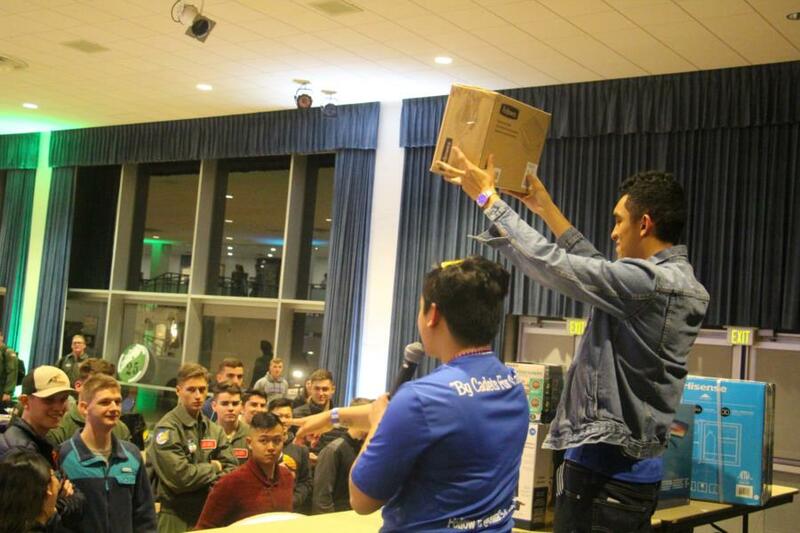 There was even a table that was giving out the Mardi Gras favorite, King’s Cake. 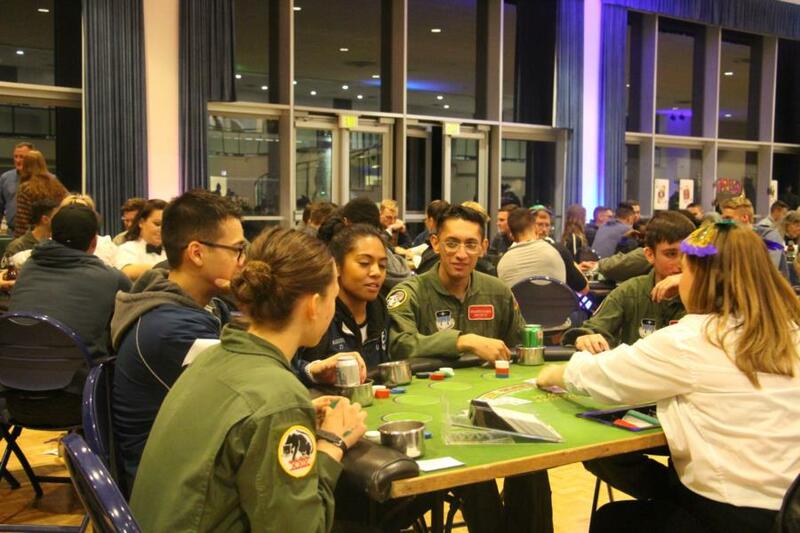 Cadet Entertainment will also host a Super Bowl Viewing Party for the cadets this Sunday. 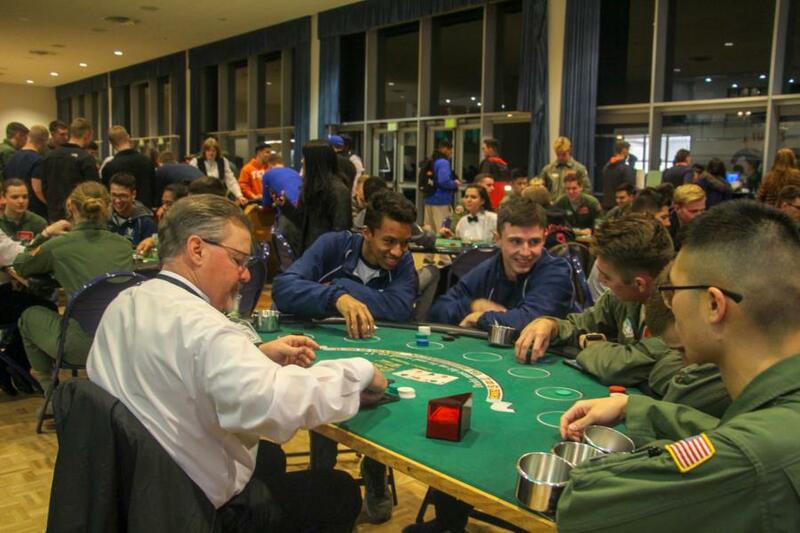 To view the rest of the pictures from Mardi Gras Casino Night go to; Galleries > Extracurricular > Cadet Life, or simply click the link below.